Epix has released its first look at Jack Bannon (The Imitation Game, Ripper Street) as Alfred Pennyworth in the upcoming series focused on the popular Batman mythos character. The official Twitter account for Pennyworth tweeted out the photo. "Meet Alfred Pennyworth like you’ve never seen him before," read the caption. Bannon was cast as Pennyworth in 2018. The upcoming drama will focus on the former British SAS soldier who forms a security company in 1960s London, and goes to work with Thomas Wayne, who's not yet the father of Bruce Wayne. Executive producer Danny Cannon has promised that the show will feel like an "unhinged, R-rated" series as compared to Fox's Gotham. Alfred Pennyworth was introduced in 1943’s Batman #16 as Bruce Wayne’s devoted servant and most trusted ally. 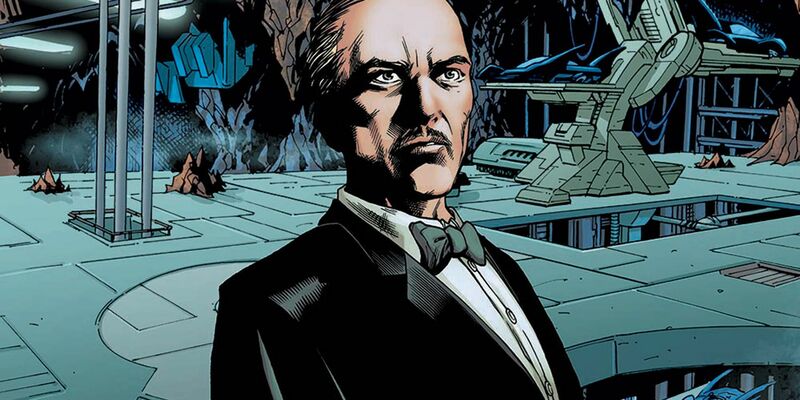 Although his backstory has changed slightly over the decades, Alfred has fairly consistently been depicted in the comic books as a retired actor and British intelligence officer who serves as Bruce’s valet and surrogate father, but is more than capable of getting his hands dirty when the need arises. Developed by former Gotham collaborators Bruno Heller and Danny Cannon, Pennyworth stars Jack Bannon, Ben Aldridge, Jason Flemyng and Paloma Faith. It is expected to premiere this summer on Epix.